Join us this week as we revisit An American Werewolf in London from director John Landis and effects artist, Academy Award winner, Rick Baker. 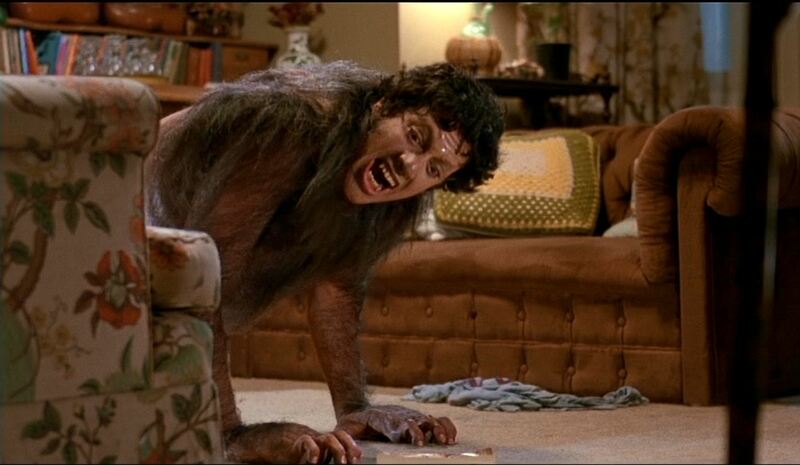 One of two phenomenal, influential werewolf films of 1981, An American Werewolf in London goes on to win the first Academy Award for Best Make-Up and forever connect the lyrics to Blue Moon to werewolves. “The undead surround me. Have you ever talked to a corpse? It’s boring! I’m lonely! Kill yourself, David, before you kill others.” – Jack’s corpse to David. Thomas Mariani returns once again to join Doc Rotten in celebrating classic monster movies from the past. 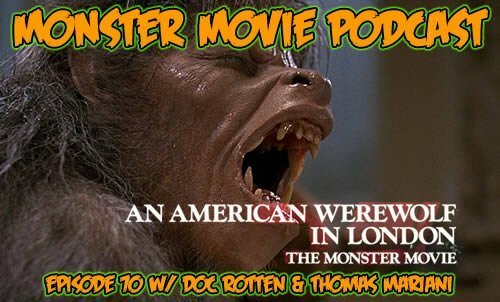 An American Werewolf in London is one of Thomas’ favorite horror films and a must discuss film for Monster Movie Podcast. Thomas and Doc relive the film, it’s highlights, the special effects, the music and John Landis. An American Werewolf in London is a classic, a must see horror film and one of top examples of horror comedies of all time. Director John Landis is on top of his game with a script he honed for 10 plus years bringing a perfect blend of genres, pacing and timing. Then there is the special effects, the full body transformation of David into the werewolf, brightly lite, all practical and riveting. The film also ties in brilliant use of music, Blue Moon, Bad Moon Rising and Moondance. Despite the music and the laughs, the film is also scary with vicious attacks on the moors and in the London tubes. We want to hear from you, our valued listeners: click on the Send Voicemail link on the DocRotten.com site and leave us a message or leave a comment on the site or email the Monster Movie Podcast at podcast@docrotten.com.